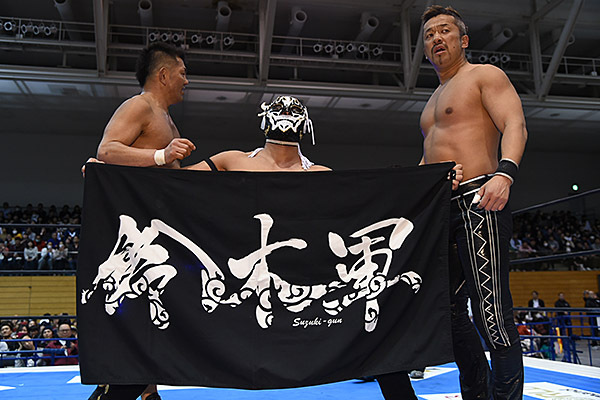 The Road to Wrestling Dontaku kicks off in style on night 1 in Tsukuba, Ibaraki. Los Ingobernables de Japon gained momentum ahead of a series of important matches during the course of this tour. Roppongi 3K will take on BUSHI & Takagi on 26th April in Hiroshima for the IWGP Jr. Tag Championship. On the 4th May, in Wrestling Dontaku, EVIL will face Tomohiro Ishii and Okada will defend his IWGP Heavyweight Championship for the first time in his 5th reign against SANADA. Match 6: Jyushin Thunder Liger, YOSHI-HASHI & Kota Ibushi versus TAKA Michinoku, Taichi & Zack Sabre Jr. Ahead of their championship match for the IWGP Intercontinental Championship on the 20th April, Zack and Ibushi clashed in a 6-man tag match. The match was decided when YOSHI-HASHI defeated TAKA Michinoku with a Kuma Goroshi, but after the match, Zack displayed his viciousness with a Zack Driver on a defenseless Ibushi. 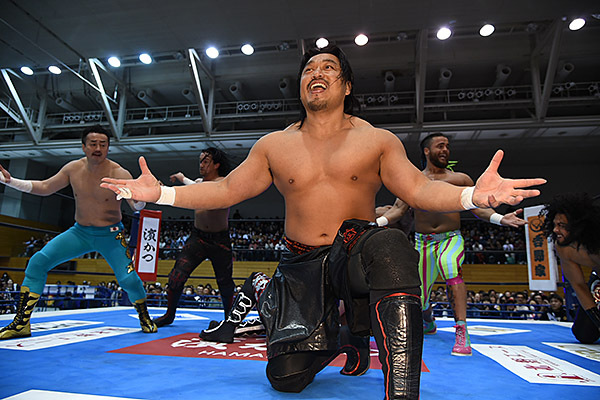 Another 6-man tag previewing upcoming important matches played out. Fale will challenge Juice for the IWGP US Heavyweight Championship on 20th April in Sengoku Lord and Goto will have a special singles match with Jay on 29th April in Kumamoto. 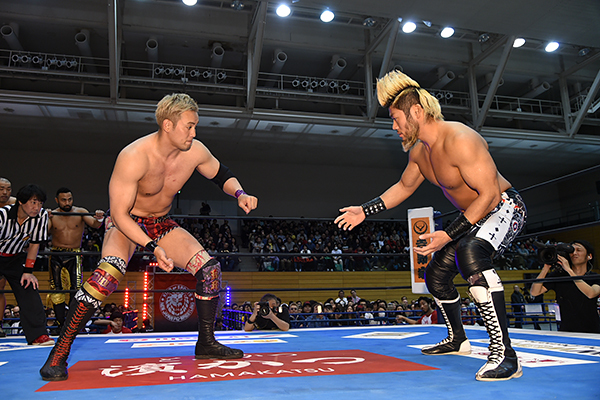 In advance of both an IWGP Tag Team Championship on the 29th April in Kumamoto and NEVER Openweight Championship match in Korakuen on the 26th April, G.O.D and the reformed Most Violent Players fought in a brutal match. 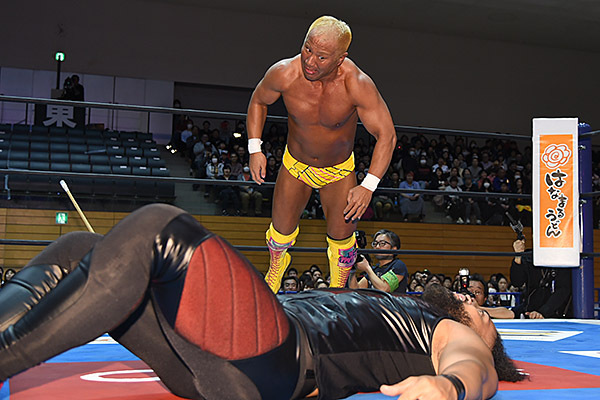 The match was decided after an Apesh*t on Honma, who had earlier been incapacitated by a kendo stick from Jado. Although Umino put up a brave fight against Suzuki-gun, he was ultimately felled by a Gotch-Style Piledriver from its leader. 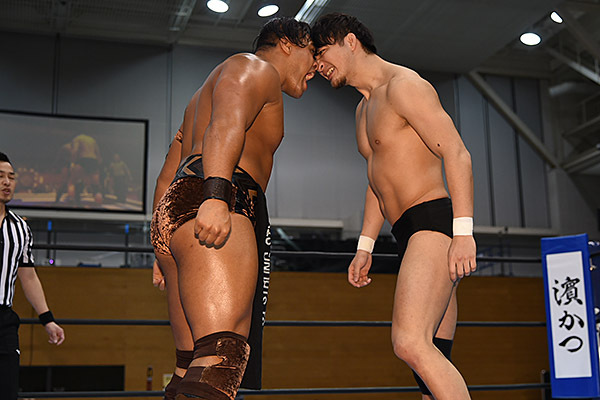 Narita went head-to-head with Henare in a singles match, but lost after a TOA Bottom from the New Zealander. For the first time, one of the two career rivals emerged victorious after a year of stalemate in singles competition. Tsuji won with a Boston Crab.